At Dunkin’, joy is at the heart of everything we do. This month, we are welcoming the holidays and the season of giving with a special way for our guests to bring joy to children whose lives are affected by illness or hunger. 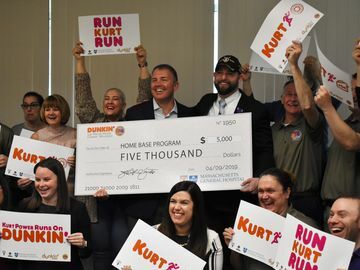 Throughout November, we are bringing together Dunkin’ Donuts and Dunkin’ Donuts/Baskin-Robbins multi-brand restaurant franchisees, employees, and guests like you to help bring the simple joys of childhood to sick and hungry kids. When you stop by your local Dunkin’, you’ll have a chance to participate in our Community Cups® fundraiser by donating $1 to the Joy in Childhood Foundation℠. In return you’ll receive a paper icon to display at the store, or take home with you. 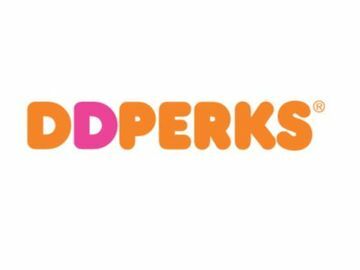 As a thank you for our guests’ generous support, the paper icon also includes a special coupon that can be redeemed for $1 off the purchase of a dozen donuts*. 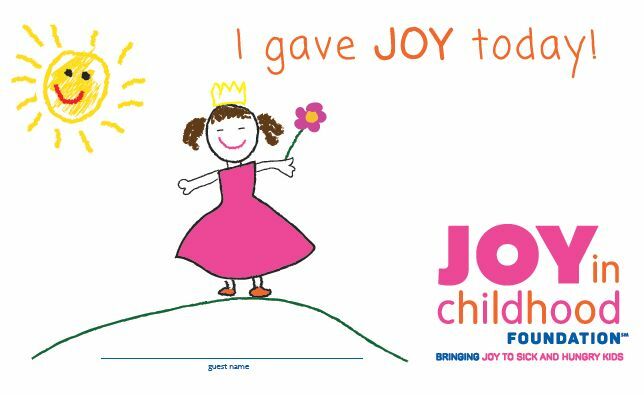 Every dollar supports the mission of the Joy in Childhood Foundation: to bring the simple joys of childhood to sick and hungry children. The Community Cups Program has helped raise $1.7 million for the Foundation since it began in 2013; with your help, we hope to raise $1M more this year. 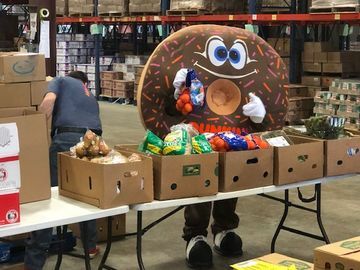 To learn more about the Joy in Childhood Foundation, visit: http://www.dunkinbrands.com/foundation. And be sure to stop by your local Dunkin’ Donuts this month to help bring joy to sick and hungry children! * Limit one coupon per customer per visit. Dozen donuts exclude Croissant Donuts, Fancies and Squares. Expires 12/31/16.